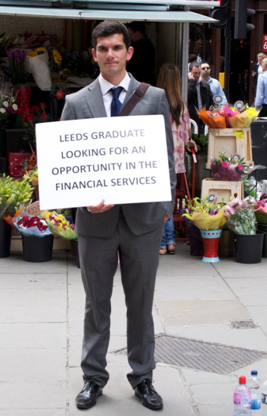 You may have seen this article in Leeds Student last November about the unusual tactic Leeds Graduate Giles Metcalfe used to land his ideal job. We wanted to know more and contacted Giles who has kindly written a guest post for us below, including his advice for current students or other graduates. Giles also blogs at Cromer Terrace.